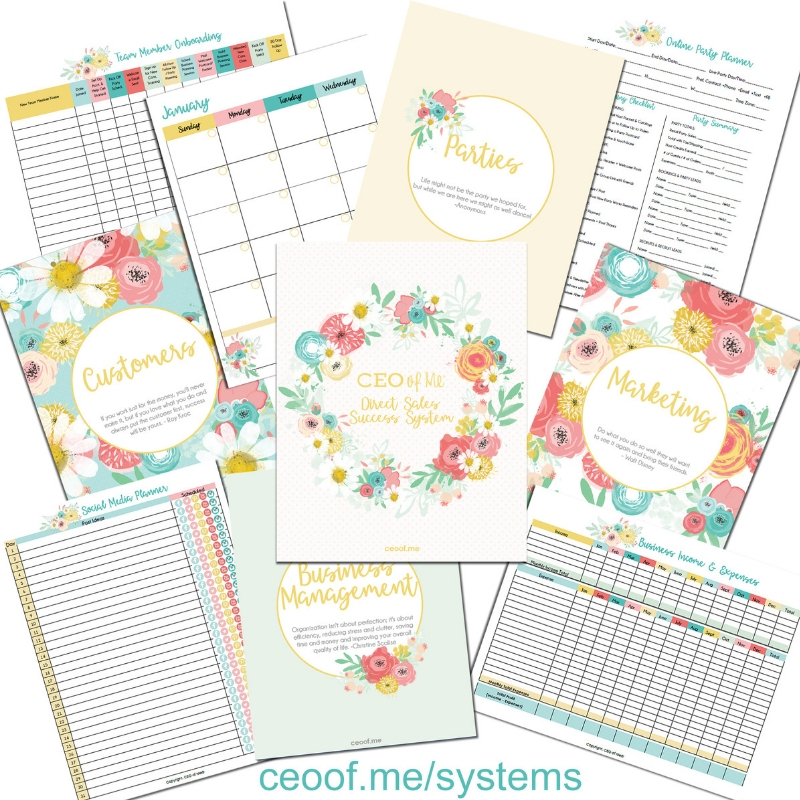 75+ Planning Pages, Checklists, Worksheets & Templates for increasing your productivity, organization & consistency in your business. 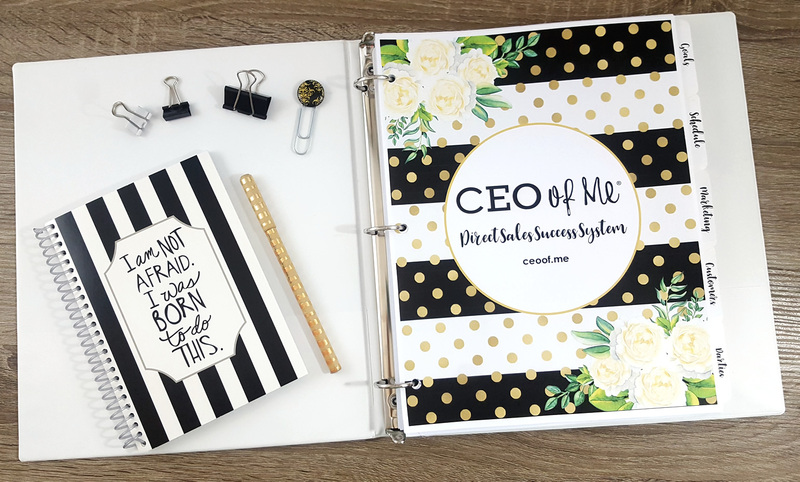 Includes Bonus Systems Set Up Training Video & Productivity Course on How to Work Smarter in Direct Sales & extra training & tools! 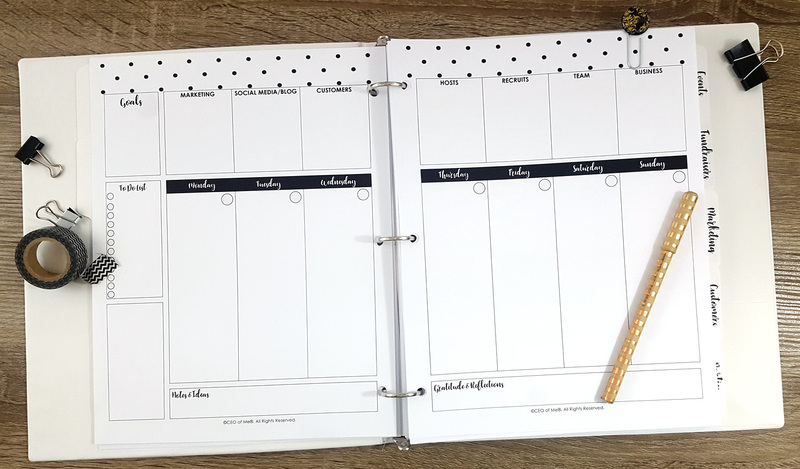 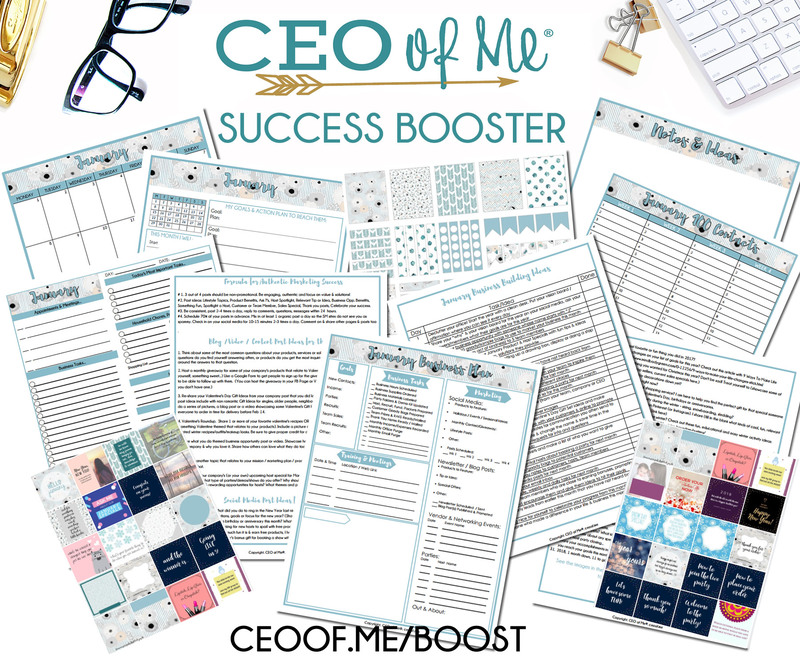 Monthly Bundles of worksheets for planning, goal setting & marketing, plus content ideas for social media, parties, events, recruiting & lead generation, pre-made social media images & bonus templates & tools to boost your business! 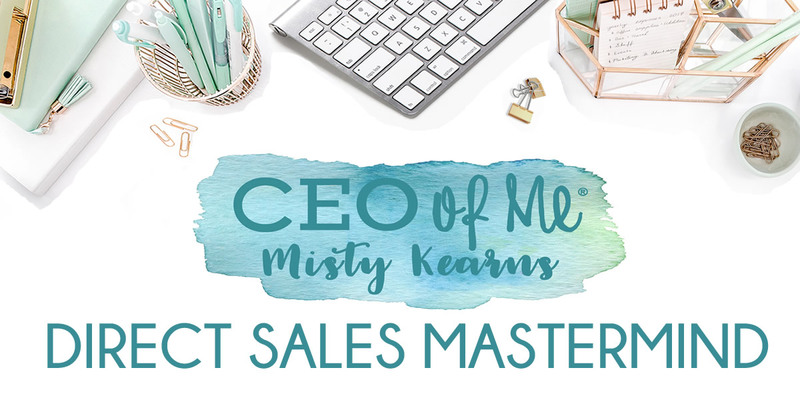 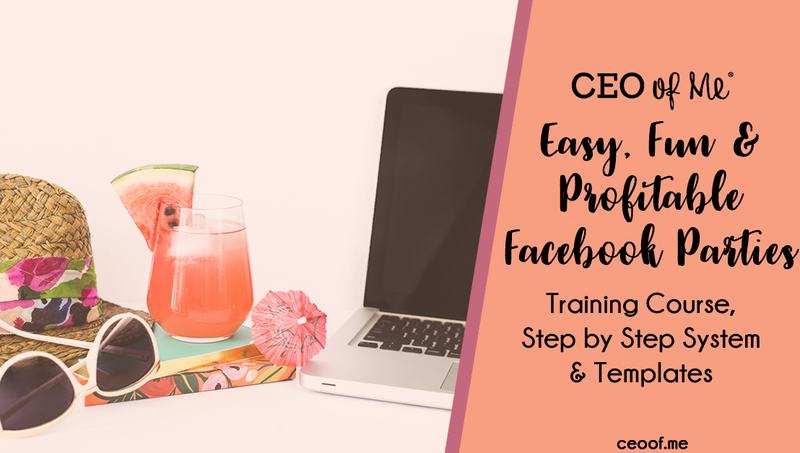 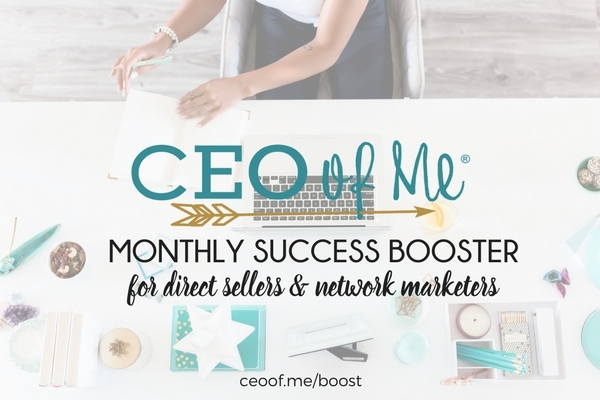 Direct Sales Success Course Library & Monthly Mastermind Live Group Coaching Program - Includes Access to ALL of CEO of Me's programs, products and printables plus weekly group coaching, daily accountability & extra 1 on 1 support. 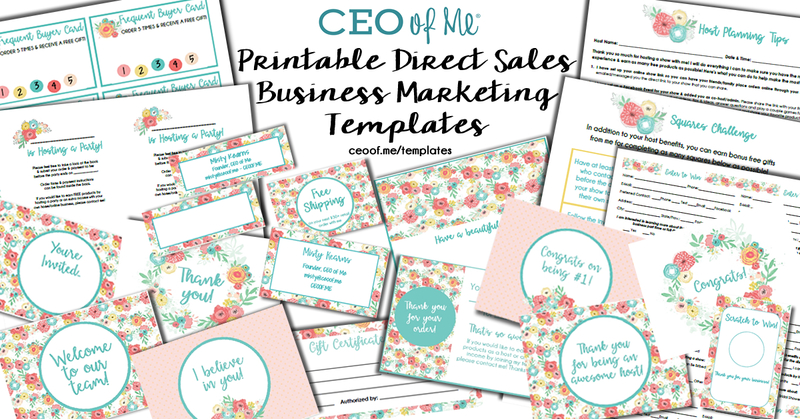 Templates to Market Your Business for Leads, Customers, Parties, Team Building & More!